March 22, 2019 – "The Home of Organic Golf Reviews"
One of the booths that I took the time to visit at the 2019 PGA Show in Orlando, Florida was SKIN Sunscreen. During my time visiting there I chatted with one of the representatives who explained to me how SKIN Sunscreen came to be and the development of their latest sunscreen. SKIN Sunscreen was developed with the purpose of keeping golfers safe from the harmful rays of the sun. With skin cancer deaths on the rise, it’s become even more important that we take care of ourselves and take any and all precautions against it (the sun). Whether you’re a golfer or a tennis player or any outdoors-minded you’re likely prone to spend countless hours outdoors. Having already developed one of the leading sunscreens in the health and wellness industry (golf) SKIN Sunscreen has released it’s most recent addition to their family of products. Already having lip balm, SPF 30+ and SPF 50+ Sunscreen comes a new and improved formula with one major difference. It’s Reef Safe. The new Active Reef Friendly SPF50 Continuous Spray sunscreen has been specially formulated to remove any chemicals that may be harmful to coral reefs. The organisms that live in these precious ecosystems are far more important than we realize. SKIN Sunscreen knows this as well. And they care. The SKIN Sunscreen Active formula is non-greasy (as I can attest), sprays on so it doesn’t need to be rubbed into the skin, dries clear and is water-resistant for over an hour. For more details on SKIN Sunscreen Active please see the press release below as shared by Tracy Nackel of TEN Marketing and PR. Goodyear, AZ, March 18, 2019… SKIN Sunscreen™, providers of a premium sunscreen product specifically designed for the golf athlete and their families, has introduced a new Active Reef Friendly SPF50 Continuous Spray sunscreen. “When creating our Active SPF50 spray, we felt the need to bring the integrity of our formula to a higher standard, therefore eliminating specific chemicals, which are frowned upon by our loyal consumers,” said Jessica Folino, General Manager/Partner, SKIN Sunscreen. The SKIN Sunscreen Active SPF50 Continuous Spray is a lightweight, non-greasy formula that sprays on from any angle, helping you protect your entire body from harmful UVA/UVB rays. This highly effective, Broad Spectrum formula features a no-run application that doesn’t require rubbing in. It provides water resistance up to 80 minutes and applies and dries clear while allowing the skin to breathe. It is safe for children, the reef and is approved for use in Hawaii. On May 1, 2018, Hawaii became the first state to pass a bill banning the sale of sunscreen containing chemicals believed to harm coral reefs. The legislation prohibits the distribution of sunscreens containing the chemicals oxybenzone and octinoxate that scientists have found contributes to coral bleaching when washed off in the ocean. Active ingredients in the new spray include Homosalate, Octocrylene, Octisalate, and Avobenzone. Other ingredients include skin soothing, aloe vera, coconut oil, and Vitamin E.
In addition to the new SPF50 spray, SKIN Sunscreen also offers a premium preventative reef-friendly SPF30+ lotion formulation that is oxybenzone-free, non-greasy, sweat resistant and water resistant for up to 80 minutes. Uniting the company’s resources in a quest to spare others the pain and loss associated with the insidious health threat of skin cancer and UV damage, SKIN Sunscreen is proudly promoted as the optimal wellness preventative in a healthy daily hygiene routine. For more information about SKIN Sunscreen, visit www.skinsunscreen.com. 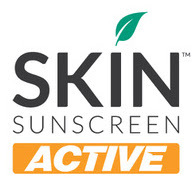 SKIN Sunscreen™ was founded for golfers, by golfers. SKIN Sunscreen is formulated specifically for golfers and their environment. The SPF 30+ sunscreen utilizing Zinc and Titanium Dioxide as its base, is very water resistant, Broad Spectrum, and delivers UVA/UVB protection. SKIN Sunscreen is trusted for performance and protection by nearly 280 Tour Players on the PGA Tour, European Tour, and Web.com Tour. For more information about SKIN Sunscreen, visit www.skinsunscreen.com. When the PGA TOUR announced the new schedule for 2019 last year I was excited more than you can imagine. As a golf fan did you know that our national championship (Canadian Open) is the second oldest championship in golf? There’s only one older and that’s the Open Championship (British Open). The issue that I’ve had is the “homer” and patriotic Canadian that I am (yes we exist) has felt for a very long time that the Canadian Open got “screwed over” from the schedulers for the TOUR. Like our national championship was a second-rate event. Following on the heels of a Major championship like the Open Championship is a tournament committee’s nightmare. It becomes a little more difficult to get a star-studded field in line and had it not been for the title sponsor of the Canadian Open (RBC – Royal Bank of Canada) it makes you wonder if we would have still seen the likes of guys with “star power”. Among them Bubba Watson, 2018 Champion Dustin Johnson, Sergio Garcia, Matt Kuchar, and Brandt Snedeker to name a few. One of the greatest golf shots ever struck happened at one of our Canadian Open’s. There’s likely a chance that every golf fan has seen it. Who remembers the infamous shot that Tiger Woods hit from the fairway bunker at the 2000 Canadian Open (then sponsored by Bell). That shot, to that pin over the water from 218 yards with a 6-iron in that situation was beyond comprehension. He returned in 2001 to defend his crown but I’m not certain that we’ve seen him play the Canadian Open since. The reality is that nobody moves the needle like Tiger Woods. But news came today that could move the needle in a very Tigeresque way. The camp representing Rory McIlroy announced that Rory McIlroy will be playing the 2019 RBC Canadian Open when it’s contested at the venerable Hamilton Golf & Country Club in Hamilton, Ontario June 3-9. This will be his last tune-up event before the U.S. Open. After several events where Rory looked like he was back this past weekend saw him breakthrough and win The Players Championship. It’s been a long time since I was that happy about a player winning an event. How good would it be for golf if he returned to the form that we know and love? Rory… If you would ever do me the honour of reading what I have to say I just want you to know something. You have no idea what it means to me and my fellow Canadian golf fans that you’re playing in “OUR” tournament. The buzz that your appearance will generate I cannot even begin to express other than “WE” will welcome you with open arms. I will personally give you a bottle of the finest ceremonial bottle of maple syrup and a moose (which may not be real) that I can find. Shoot, I’ll treat ya to a pint and an order of Poutine. In return, I ask nothing… Maybe a selfie. Damn, I haven’t been this excited in a very long time. Rory’s presence alone has made this move such a great thing. Who knows… maybe some other big guns or big cats” will join the party in my “home and native land”.